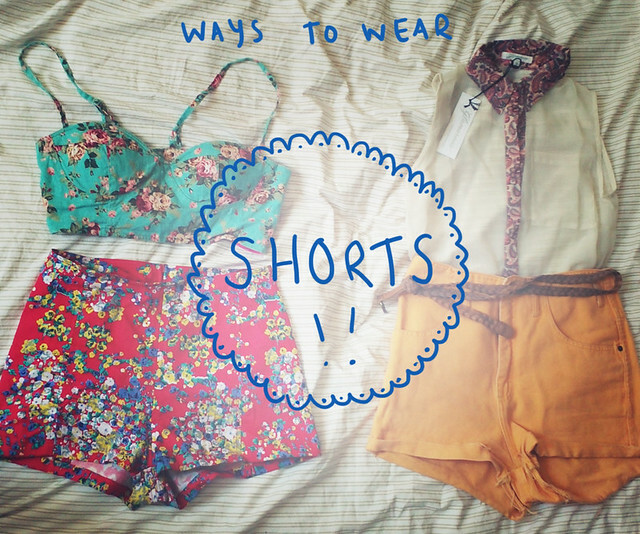 Though summer seems to have come and gone in the space of a month, I do believe it'll be back one day, so I thought I'd share with you two ways of wearing shorts! First up today, is one of my favourite things right now... clashing florals! I can't recommend Motel shorts enough, I have two pairs now, and they're so comfy due to the bit of stretch they have! 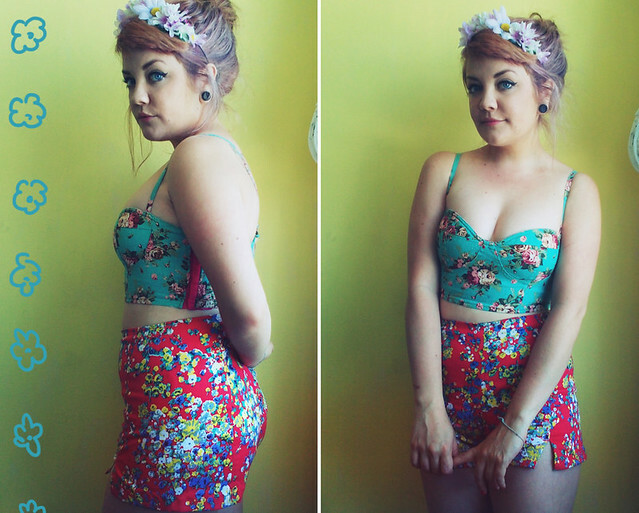 I teamed mine with this bralet from Rare a few years ago, and my Paloma daisy bandeau from Crown & Glory! I feel like a summery meadow. I adore your outfit ideas, they are such an inspiration. And so refreshing for summer! The shorts are gorgeous, you look so good! XO. You look great! The the prints! You look so cute! I love the clashing of the prints! I used to have that bedding! You look amazing, it's funny how the clashing florals work so nicely together! Beautiful lady! Love the clashing prints. Nice shorts :) I'm begging the sunshine to come back so I can buy some lovely summery prints like this and actually have a chance to wear them! I love your style so much. Adorable! those shorts are so nice, what a lovely way to show outfits! WOW, i adore the pinup girl look. the floral prints are abosultely gorgeous on you!! utterly gorgeous. i love little cute shorts espec when its floral.! This is such a cool look! I hope the weather improves a bit for real shorts weather again.